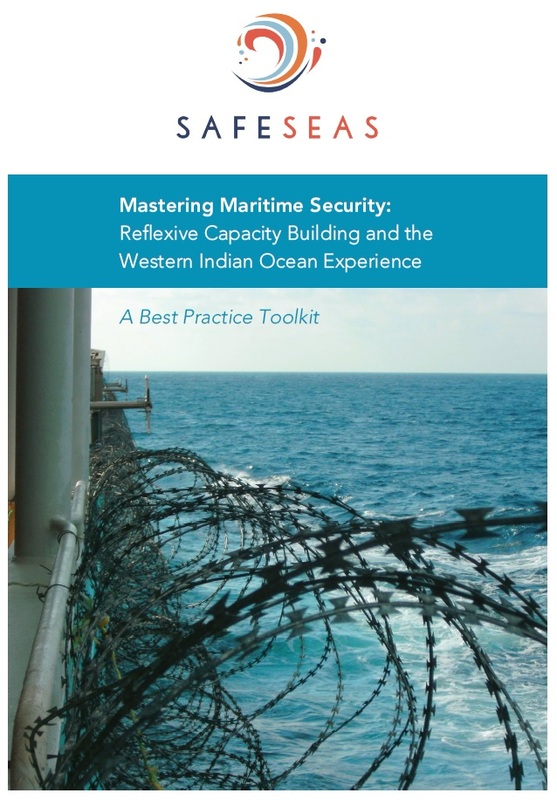 Effective knowledge production about activities at sea, also known as Maritime Domain Awareness (MDA), is one of the backbones of successful maritime security governance on both national and regional levels. Establishing a centre that integrates data on maritime activity and analyses it is a priority. Such centres share information between agencies on both national and regional levels. In many countries, a national centre also integrates search and rescue, as well as the monitoring of fisheries. MDA implies monitoring activities at sea, fusing information provided by different agencies and analysing this data in order to identify patterns, trends, anomalies and suspicious activities. This knowledge is not only important for policy formulation, but also to increase the efficacy of maritime operations, preventive patrols and inspections and to improve responsiveness to maritime incidents. Quick reaction capabilities are vital in the marine environment to prevent environmental disasters and in search and rescue situations, and to ensure the timely arrest of maritime crime suspects. MDA has also been identified as one of the means to create a culture of cooperation between maritime security agencies. MDA can nurture trust and confidence between agencies that have divergent organisational interests and cultures, but also different habits of addressing issues. Trust is both an outcome of and precondition for successful MDA. To develop trust, MDA centres need to facilitate the frequent everyday interactions between agencies and prove that their work makes a recognisable difference. MDA is often primarily understood as a high-tech challenge of installing and integrating sensors such as radar stations, developing databases and anomaly-detection algorithms, or visualising data. Human dimensions and analytical capacities are equally vital, however. Data can be collected from human sources rather than sensors, whether from informants of the broader maritime community such as fishermen, or from public sources like social media or the news. High-tech systems are not only expensive, but tend to come with high maintenance costs. Developing MDA capabilities therefore needs to identify the right mix between high- and low-tech. A model that has been successfully introduced by several countries is that of an MDA centre that fuses data from sensors and human sources through a central database and is staffed with seconded personnel from each maritime agency. Developing the right standard operating procedures is key to overcome the barriers of information sharing (see box above). Such centres can also contribute to public awareness and cooperation between all users of the sea, for example through newsletters, frequent events that bring together the broader maritime security community, or coastal community engagement programmes. Analyses the regional maritime domain awareness system that is evolving in Southeast Asia, which is often taken as a template. Argues that there are benefits in having several overlapping regional centres that can perform different functions. Investigates the evolving structures in the Western Indian Ocean and shows that overlap and competition can be a core hindrance. Argues for a careful balance between low and high tech. Doorey, Timothy J. 2016. “Maritime Domain Awareness.” In Global Responses to Maritime Violence. Cooperation and Collective Action., ed. Paul Shemella. Stanford, CA: Stanford University Press, 124–41. Provides an overview over the core functions of maritime domain awareness and discusses a range of examples of national and regional centres. A thoughtful piece on MDA. The barriers are much more difficult to surmount than at first viewing. Inter-agency or inter-organisation rivalries, international rivalries, and fears of data breaches. Too many focus on maritime-based data being classified when in fact it is a forerunner to law enforcement action. Too often fear of being indicated as a source of information from seafarer-sourced info may breach company stance/guidance, or even information that may delay or divert a vessel in transit with subsequent disruption of the supply chain timeline. In general terms, multinational or multi-agency MDA centres follow SOPs generated by the nation/hosting country. Adherence to SOPs supports the initial processes across the boundaries but the nuances of data collected in differing regions is often assessed broadly and not necessarily matching the analysis of more experienced agencies/nations. As the title of the article reads, ‘Best Practice’ is the best way to adapt and adopt procedures that are able to quickly be revised to combat the changing situation of the maritime crime perpetuated in the region – for example, Somali piracy changed its model between 2008 and 2012 which kept the counter piracy navies operating off the Horn of Africa in a state of flux to adapt different methodologies during that period to eventually meet with greater success in deterring attacks on vessel. The use of high- and low-tech is vital. Humint is a great way to extrapolate info that binds the data from high-tech capabilities into something understandable at many levels. The ability to interpret not just the masses of data collected but to also combine knowledge and experience in the order to illuminate and justify actions that may take place as a result of the info gathered. The differing levels of experience of naval operations may prove a hindrance to some nations in the MDA circle, but exposure to others with extensive experience is a key component. However, the greatest challenge to MDA is not only ensuring the collection and sharing of data across boundaries, it is imperative that all actors are included and working to a common goal (for example, countering Somali-based piracy, multinational navies will share common data but have largely excluded Iranian naval forces input in the Area of Operations). Not only should MDA centres share info but (quarterly) shareholder meetings will help to clarify how matters are addressed. MDA, to be effective, requires trusted input from military, commercial, law enforcement, insurers and legal entities to combine data/info that will delivery efficiency of distributed output. No easy task when you consider the amount of authorities attempting to provide various levels of regional MDA in the Gulf of Guinea, Indian Ocean and Southeast Asia, and how different organisations produce reports and newsletters that do not match one another. No one said MDA was easy.